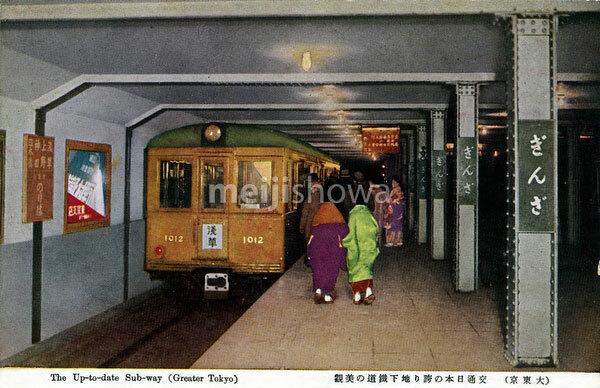 A train at Ginza subway station, opened in March 1934 (Showa 9), of the Tokyo Underground Railway. The line was only called Ginza Line in 1953 (Showa 28). 80131-0027 - Ryounkaku Tower | 80201-0001 - Marunouchi "Londontown"